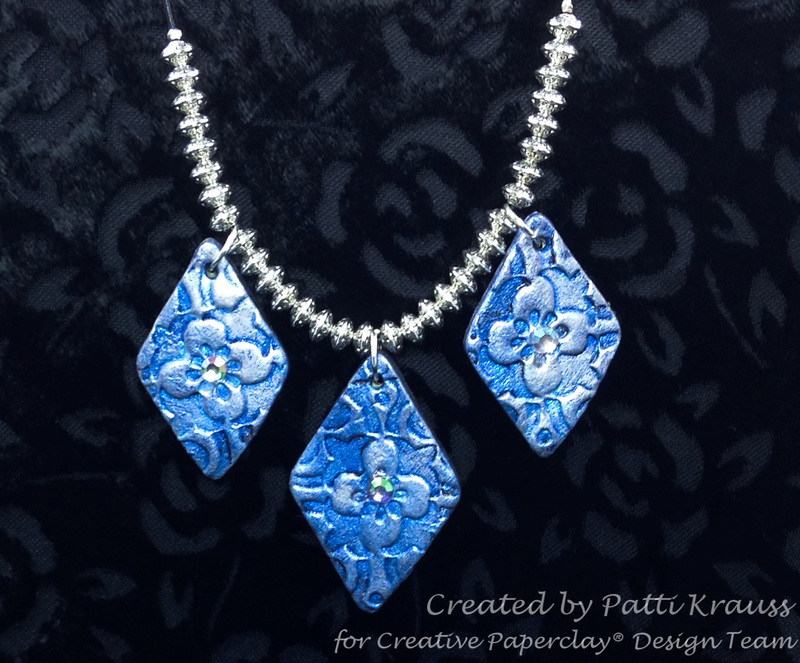 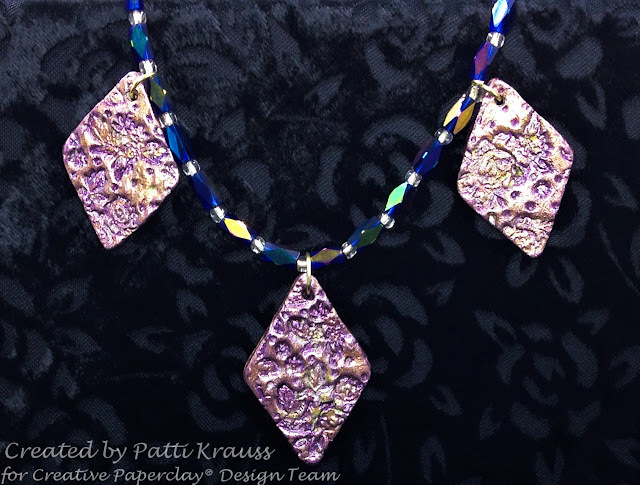 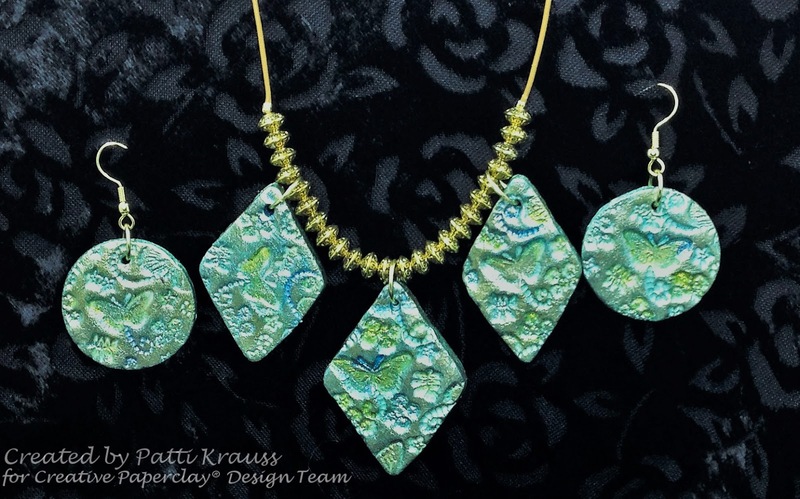 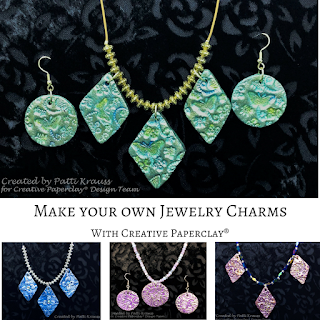 Hi Friends: Creative Paperclay® can be used to make great lightweight charms for your home-made jewelry pieces. 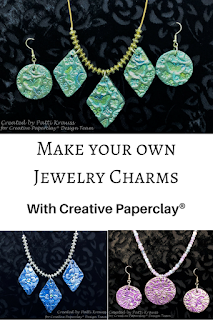 Just roll the clay, stamp into it with your favorite stamp sets, then cut with cookie cutters or metal clay cutters to create charms / pendants to use on necklaces, earrings, or bracelets. Once dry, you can paint them to match your favorite outfits or to give as gifts. 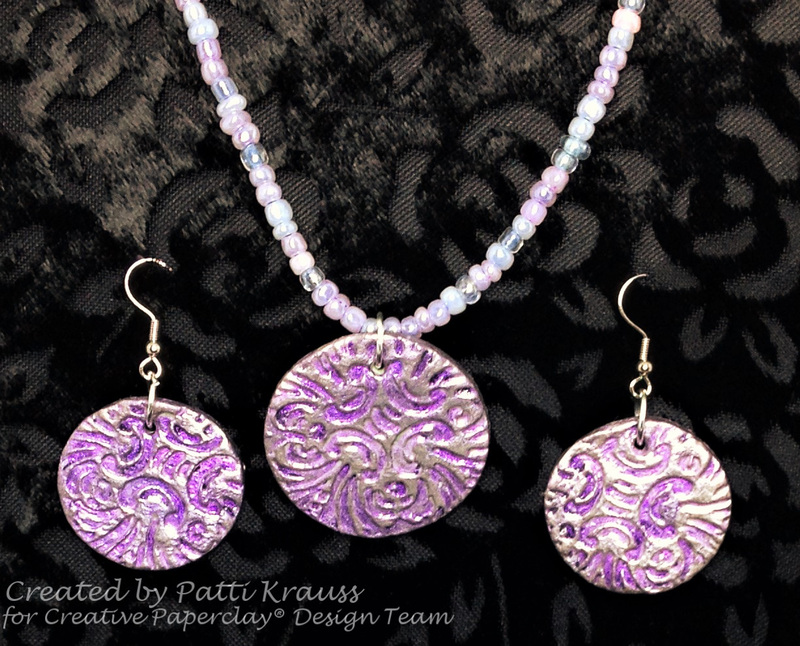 The beads on this last one didn't photograph very well - they are lovely iridescent purple/blue beads that really work well with the purple in the charms.